I’m BIG on nail care. I always have been… I think it’s because when I was younger I used to bite them, so now that I actually have some to paint I go all out on making sure I’m looking after them as best as I can. Ya know, gotta keep them in good condition and all that jazz. 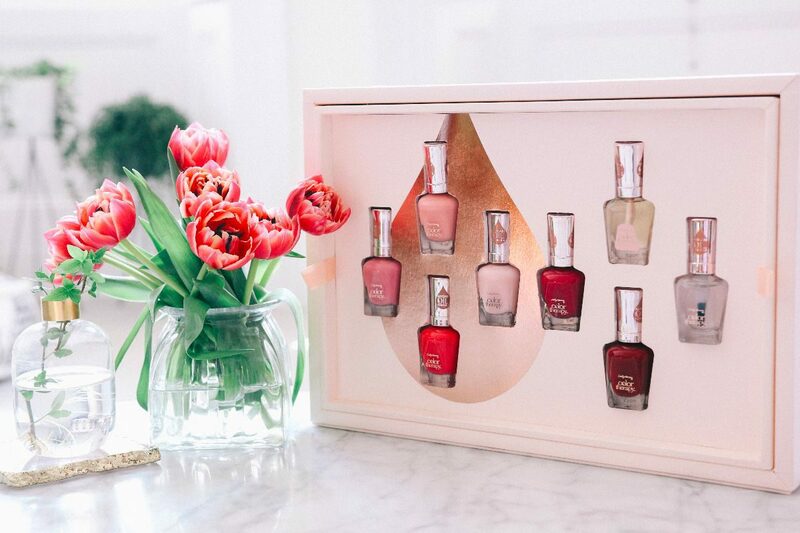 SO, this brings me onto my newest nail varnish discovery…. 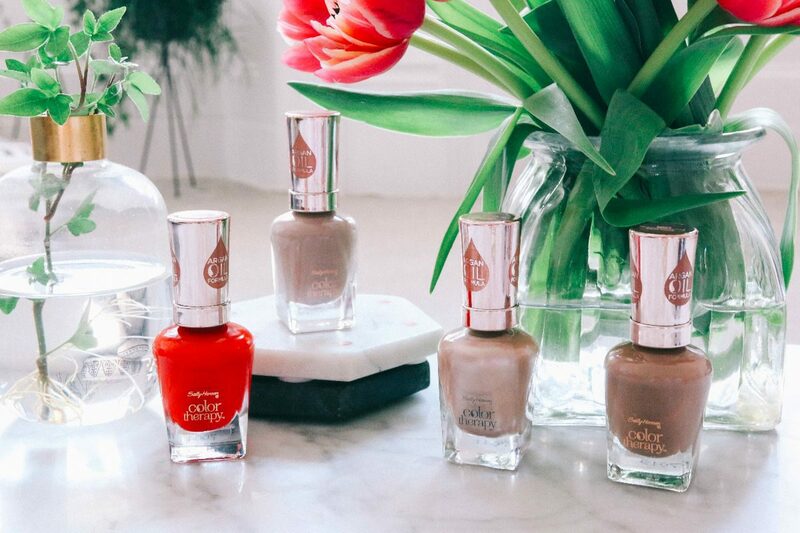 The Sally Hansen “Color Therapy” Range. It’s new, it’s pretty and it basically does ~it all~, so if you’re after super lush color, alongside alllll the nail nourishment, then you will just loveeee these beauts. 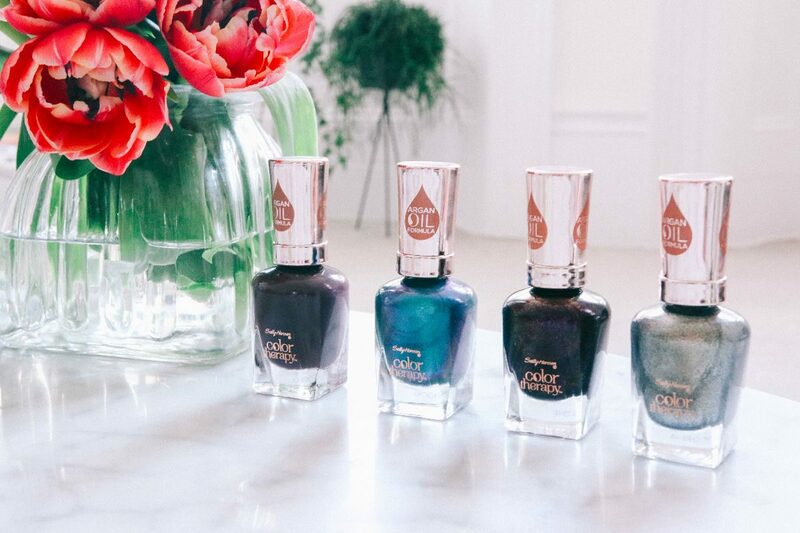 The range includes a huge selection of colors – whether you’re more of a natural nail lover or fancy something a little more jazzy like a blue or silver (!!! ), there really is something for everyone. I’ve been loving trying them alllll, BUT if you’ve seen any of my recent blog posts you’ll know that I’m ALL about the pinks right now… so this shade “Mauve Mantra” has to be my absolute fave of them all! 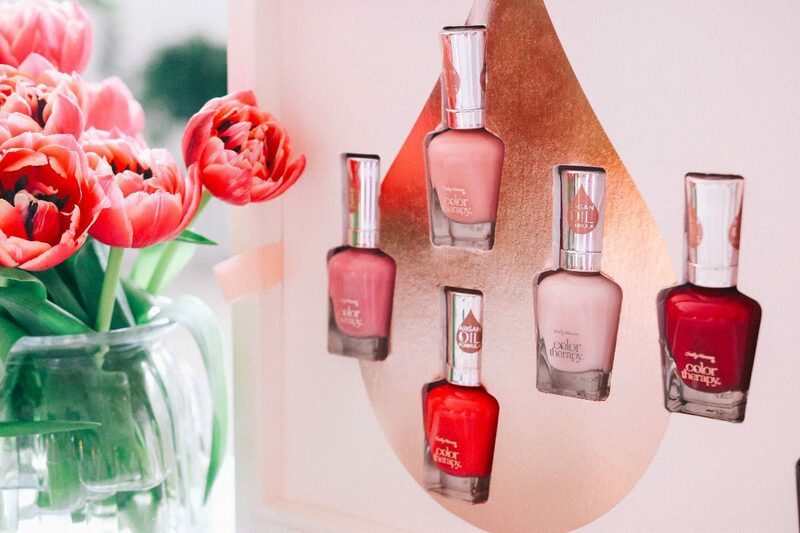 I love the whole idea that your nails are being cared for while you wear – each polish can be applied straight to the nail without any need for a base coat, which to me means more time in the mornings (hurrah!) 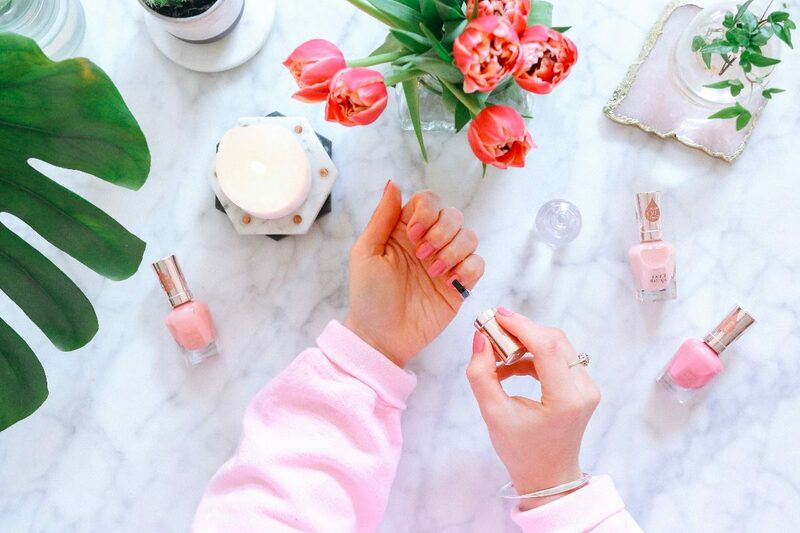 and way less faff… Annnnd the polish itself contains a nourishing blend of Argan Oil that leaves your nails feeling super moisturised and healthy… YESPLZ! I’m someone who alwayssss has nail varnish on – it’s kinda just a habit now, so looking after them is keeeey! 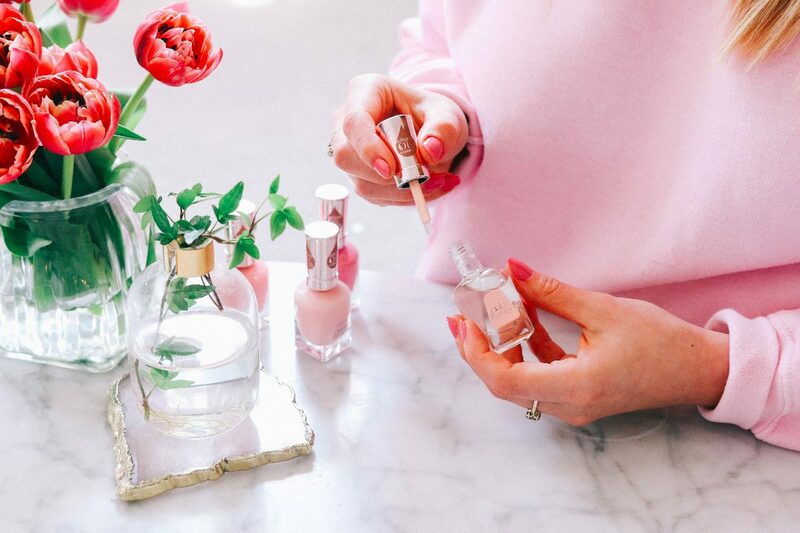 If like me you love popping your fave products in ya bag there’s also a super nourishing nail & cuticle oil which I’ve become totally obsessed with//carry everywhere I go…. There’s just something so nice about being able to v. quickly turn dry//fragile feeling nails into super smooth ones. Yes nail oil, I <3 you. Believe it or not, these are just SOME of the colors from the range as there are actually 38 to pick from! The range is a Boots exclusive and launched on April 12th so is available *NOW* (woo!!) Let me know which ones your fave!? 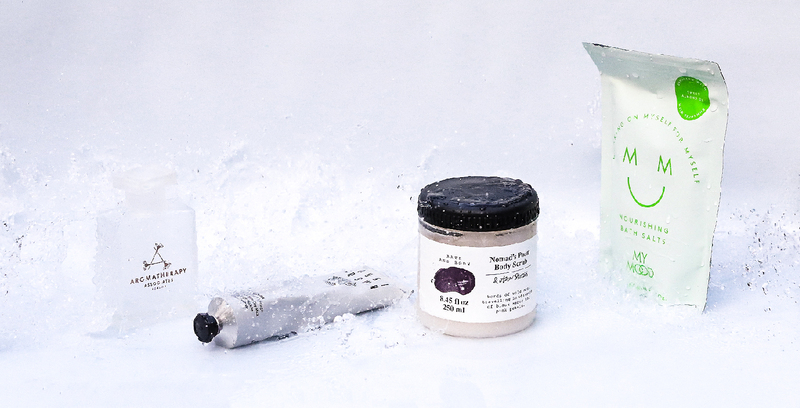 Beauty Six Products You Need To Create The Perfect Bath.